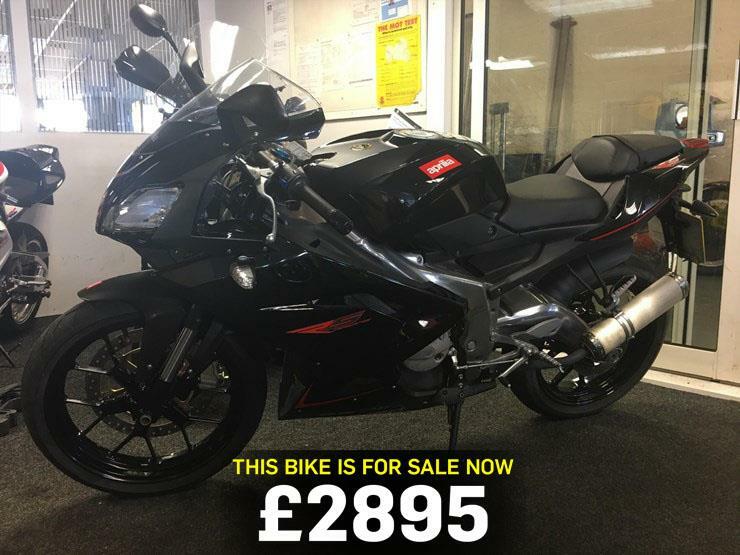 Today's bike of the day is this 2014 Aprilia RS125, on sale for £2,895. The RS 125 first smoked its way onto racetracks 25 years ago and quickly set about dominating its class before Moto3 was introduced in 2012. Quick to link its GP success to its road bikes, and spotting the potential of young tearaways hell-bent on speed, it didn’t take long for the firm to build race rep learner bikes, starting with the 1992 AF125 Futura before the RS name was adopted in 1994 on the RS 125R Extrema. This awesome mini stink-wheel became the 125 of choice for teenage hooligans, not to mention multiple future GP stars through various one-make race series, and remained in Aprilia’s range until it was replaced by the four-stroke RS4 in 2011.